With proper maintenance, most roof coatings will last for many years and are usually backed by a manufacturer's material warranty. 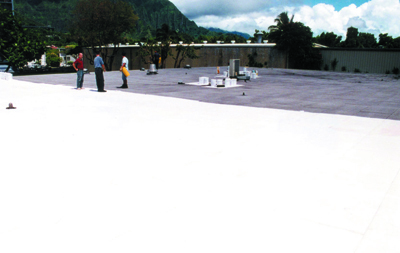 When installed by approved contractors, some manufacturer's offer a labor and materials warranty that can extend the lifespan of a roof coating for decades. All roofing systems recommended by USA Roof Coating may qualify for such an extended warranty when installed by an approved contractor. Contact us for more information on an approved roof coating contractor in your area or for more information on an extended roof coating warranty.